Ant wrote: its nice and all that, but for me i don;t think the engine and power is the issue in a 130i, sort the suspension and diff and i think thats more than enough. if you want out and out power then i'd sell up and buy a 135i. The supersprints are nice, but never cheap and if i'm honest i was never totally enamored with the quality vs price. i would suspect you could get a custom manifold made up for similar costs. Also one other thing Ben, your car is nice to drive curently, but if you stick a motorsport manifold on it it wil change the car a lot, maybe not for the good. i speak from experience when i have done this to cars in the past, sometimes you lose that niceness when you tune it with race parts. Also my mate hated his M3 with supersprint manifold, it was way too loud and he only lasted a week before going back to stock. I think I'm with you on this. Good in principal but don't want to take away from the machine as is. Also we are hitting are heads very hard into the N/A tuning wall of £100 per extra hp! A custom manifold that has no testing behind it wouldn't even come close to what SS does. Their manifolds have been proven world over to make very good power. They actually have a dyno and will keep tweaking the design until it works. With regards to noise this is more to do with the choice of rear exhaust. We have E46 M3 with manifolds and full exhaust system using their street silencers and they are not loud at all. 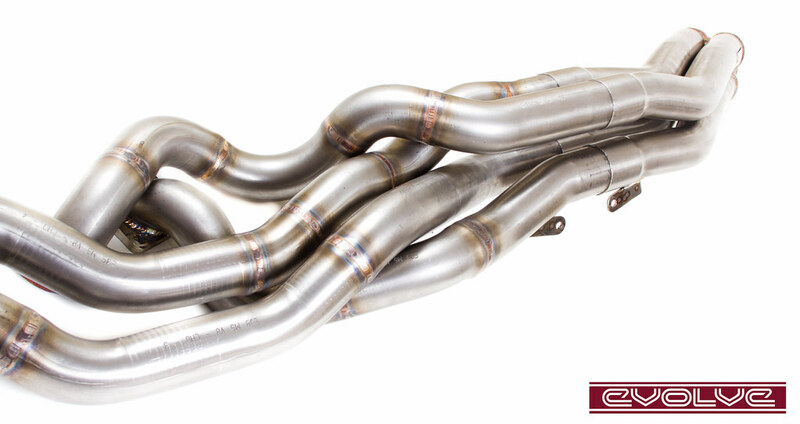 The Evolve E60 M5 is running with manifolds and stock exhaust system. You would be hard pushed to tell the difference in sound inside the car. Yes I do agree NA tuning is expensive but some customers prefer NA over forced induction. Agree, I've not seen a SS exhaust/header for any car that I would describe as not first rate quality. SS used to make the Hirsch exhausts that were the Saab Performance approved tuning parts for their cars, and they were beautifully made. As well as Evolve, you can add Hamann, Carlsonn and ACS to the list of companies SS manufacture for. DFKMT wrote: Lol I could be wrong though I looked into these nearly two years ago. There is a bloke who made a set out of old m3 headers I believe if I find the email I got I will post it up here also check other forums as I'm sure some in South Africa have done this too. Sorry to bump such an old thread, but could you point me in the right direction regarding the guy who put the old M3 headers onto his 130i, I am trying to source headers but dont want to go up the supersprint route. Unfortunately I don't have the email anymore but if I find the info later I will stick it up here.